With 30 years combined experience, all of our instructors are Krav Maga certified and are motivated to help you become the best Krav Maga practitioner that you can be! Ann Marie Gibbs is a Registered Nurse who earned her degree in 1994. 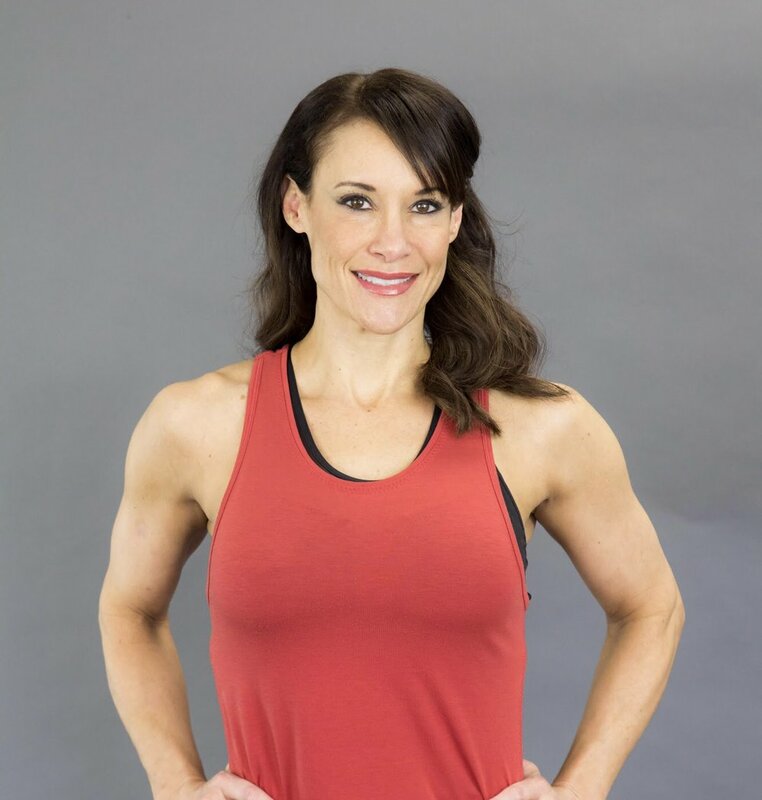 She later perused certification as a personal trainer and opened her own personal training business in 2011 after her three girls started school. She set out to become the best, competing on the national level as a figure and fitness athlete. Ann Marie has trained every Miss Arkansas since Alyse Eady, first runner-up to Miss America in 2010. In training women of all ages for many years, Ann Marie discovered her passion for self-defense, and fell in love with the easy-to-learn methods of Krav Maga. She has classes for women only, co-ed, and even has classes for children and teens. She has been involved with Krav Maga since 2016, working closely with Devin Shirley, who founded Krav Fit in 2004. Ann Marie is currently working on her 3rd level instructor certification. Devin began his Krav Maga training in 2001 in Dallas at one of the first group of Krav Maga schools in the United States. He was invited to attend instructor training at the Krav Maga Worldwide headquarters where he received his instructor certification and began a long career in Krav training and teaching. Arny Ferrando is a senior instructor at Krav Fit with 11 years of training under his belt. He holds a black belt in Krav Maga and has experience in several other combative arts. Arny is a graduate of West Point, a retired Army pilot, and his current day job involves skulking around UAMS as a physiologist and scientist. Dave Jones is a native of Tennessee but has called Little Rock home since 1997. Dave joined Krav Fit as a student in 2007. He’s a brown belt and level 4 instructor. When Dave isn’t torturing students in new and fascinating ways to help them be better at the art of Krav Maga, you can find him at his day job as a critical care Registered Nurse at Arkansas Heart Hospital. Steve Hugo has been training in Krav Maga since 2006 and currently holds a Brown Belt at Krav Fit. He started instructing Krav Maga in 2017. Steve is a full-time history teacher in addition to his time at Krav Fit. Among his many notable accomplishments, Steve has at various points wrangled a mob of Emu, nursed a white tiger cub, and wrestled an alligator (Greco-Roman rules). Ricky Cooper has been involved in Krav Maga and Krav Fit since 2016. He, and his wife (Chelsea, also an instructor), wanted to learn basic self-defense techniques. They ended up coming away with an excellent fitness program, great friends, and the confidence to defend themselves when necessary. Ricky is also a Krav Kids instructor and the manager of Krav Fit. Chelsea Cooper began her Krav Maga career in 2016. She decided it was time to make a change, to stop hiding from the world and to learn how to stand firm in the face of life’s fight or flight moments. This is when she learned about Krav Fit. Chelsea felt Krav Fit offered the perfect balance of fitness with self-defense at its core. Chelsea is a Women’s Self-Defense and Krav Kids instructor.